This is now being offered regularly at Wellnessland Health Institute. HealthSnap Solutions is a health technology company bridging the gap between lifestyle and medicine. We develop the tools required to shift healthcare from a reactive disease-care system into proactive value based care. HealthSnap’s Lifestyle Management platform is an all-in-one solution that removes the burden of evaluating and interpreting our patient’s lifestyle health, so we can spend less time making sense of lifestyle data and more time guiding you to optimal health. HealthSnap’s mission is to bridge the gap between lifestyle and medicine. By connecting the pieces of prevention using lifestyle data, we firmly believe we can empower you to make proactive healthcare choices. HealthSnap was formed by experts in exercise physiology and nutrition with a passion to use exercise, nutrition, and behavioral data science to prevent and reverse disease. HealthSnap’s platform, powered by proprietary technology developed at the University of Miami, helps healthcare professionals and patients use modern technology to understand the impact lifestyle behaviors have on health and is the first centralized platform specifically designed to scale lifestyle medicine. HealthSnap’s Platform provides us with health data management and analytics to help us overcome the barriers to practicing effective lifestyle medicine so we can scale prevention in our practice. This platform can instantly generate personalized, tangible, and actionable lifestyle reports; saving us time from having to interpret our patients’ raw lifestyle health data so that we can focus on inspiring you. Isn’t it that FOOD IS MEDICINE? Well, that’s what Hippocrates(the father of medicine) said! 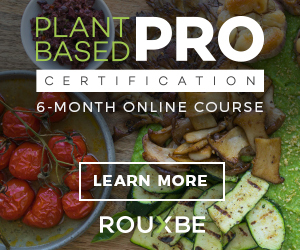 The ONLINE courses you see below, taught by leading chef educators and medical professionals, empowers students through their transition to a more health-supportive diet and lifestyle. Completing the course provides individuals with the tools, resources and culinary confidence to take control of their life through food and cooking. Transform the way you cook, eat and live. 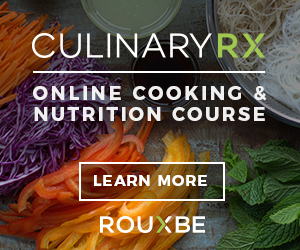 These online cooking & nutrition courses offered by our Affiliate Partner CULINARY RX are available from anywhere, on any device, at any time. (This is available at your preferred day/s, any day on weekdays, except holidays). Please proceed to enrolment page for bookings. So why don't you give yourself a break, it could be a 1 day break, a 2-day break, a 3-day break or even a 1 week break. Check In time is 1:00 PM and Check Out is 1:00 PM the following day. Please check our Events Page for next schedules.